The idea behind this hack came from a rather funny Tumblr blog of women Photoshopped to have the eyes of actor Steve Buscemi. 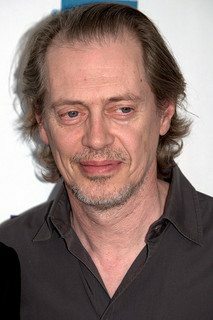 After seeing this, I decided it would be cool to make a Steve Buscemeyes generator in which a user can upload a photo of themselves and get Buscemeyed. What better way to receive that photo than with the Parse Webhook? Starting from the bottom up, let’s generate a Rails app and name it stevebuselfy. It’s your choice of database, but for speed and the sake of this app, I’m using SQLite. We’ll also use ActiveRecord for speedy development. Once you’ve generated the app and bundled the relevant gems, you can generate the Model and Controller named selfy. Once you’ve done that, migrate the database and let the fun begin. For local development, I like to use ngrok to test webhooks. Otherwise you need to deploy your code every time you test, because any webhook needs a live web address to send data. Once we’ve added our MX Records on our relevant domain, set the settings in our Parse Settings within SendGrid, and entered our Ngrok URL including the /inbound route that we will set up next, we can move back to our app, and write some code. if !params['attachment1'].nil? and params['attachment1'].content_type == "image/jpeg"
puts "\n\n ** REJECTED. ** \n\n"
Let’s break down what we’re doing here. The first thing we need to do is wrap up this method in an “if statement.” The “if statement” is going to firstly, check to see if the incoming email has an attachment. We then check to see if said attachment has a content type of image/JPEG. If not, we will send a rejected message, but still return a status of 200. The reason for that is, if SendGrid receives anything but a 200, it will continue to retry the email send until it gets one. When an email gets posted to /inbound we receive a JSON blob of that email’s data. This can also include attachments of many content types. We can target attributes of the email, extract them, and store them! As you can see, we are grabbing the attachment selfie using params[‘attachment1’]. The massively convoluted code is basically just creating a temporary file in the public directory, reading the binary from the attachment selfie image and copying it into our new temporary file. We are then saving the file in the aforementioned public directory so we can access the selfie images from the frontend of our app. This statement is creating a selfie, storing the path of the created selfie image in the pic parameter and then extracting the from property from the incoming email to store, too. And just like that, we’ve accepted an incoming email in our application, and stored some of its attributes. Check out this GitHub repo to grab the code for our frontend views. 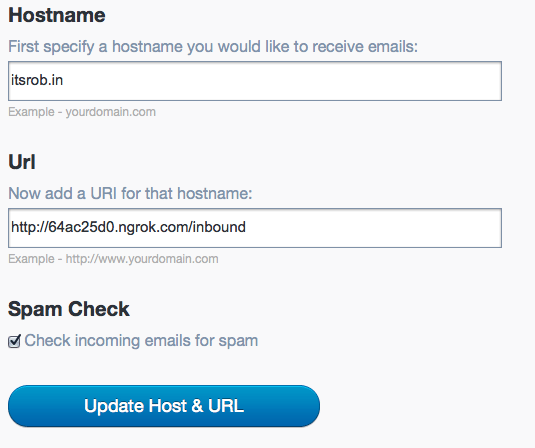 Take a selfie and email it in to the email address you set in your Inbound Parse settings. When you do that, you will see the JSON blob come in as a POST in your Ngrok log and you will see a selfie appear on your index page. Click on the Selfie and voila, you’ve just been Buscemeyed! 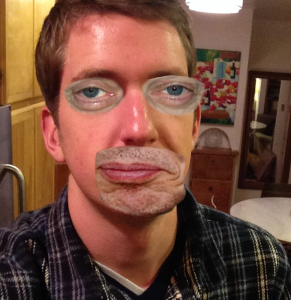 Here’s a photo of Lander, a SendGrid and Steve Buscemi fan who had the privilege of being Buscemeyed! As you can see, the Parse Webhook is a super fun feature to play around with and quite frankly, the possibilities are endless. But aside from being super fun, it’s also incredibly useful and being utilised by many of our enterprise clients (albeit NOT for Buscemi selfies!). For more details on the feature behind this tool, download the Parse Webhook Guide for free now.